Welcome Home!! 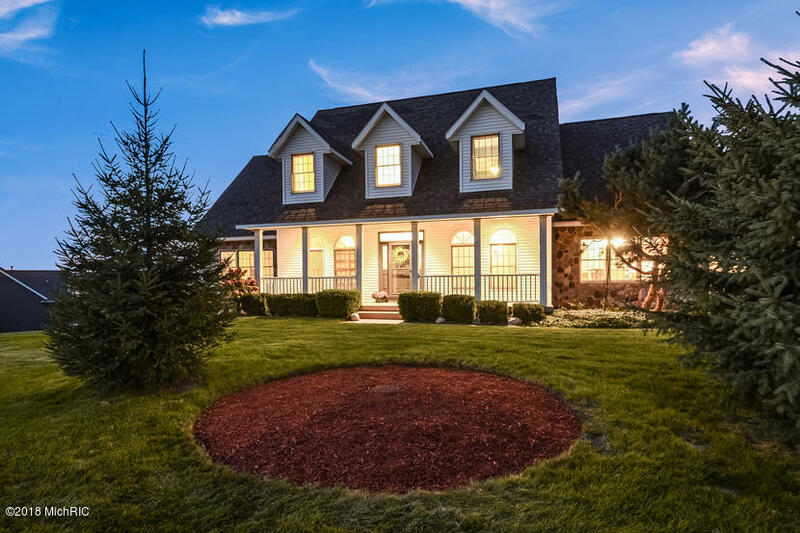 Check out this amazing home, located on just over a acre, with 4 beds and 3 baths in Kenowa Hills Schools. Located in a desirable neighborhood, but yet lots of privacy. Enjoy the sunsets on the huge deck that overlooks the inground pool! There is a garage under the garage for all your toys! Inside you will love all the space! Large foyer, that opens into the spacious great room with fireplace. There is a kitchen that is perfect for entertaining, along with formal dining room and office/den. The master suite is perfect for relaxing with private bath, and very large walk-in closet! Main floor laundry, guest bath and pantry. Upstairs are 3 large bedrooms, bath with laundry hook-ups for extra convenience! The lower walk-out family room is perfect for all your activities. Potential for another bed and bath! Lots of storage! This home has many updates including newer mechanicals, new pool liner, and fresh paint! This home has so many extras, you must see to appreciate!